A competition for radical ideas in the fight against blindness will move to its next phase by challenging participants to build functioning human retina prototypes. The National Eye Institute (NEI) 3-D Retina Organoid Challenge (NEI 3-D ROC 2020) is a $1-million federal prize competition designed to generate lab-grown human retinas from stem cells. 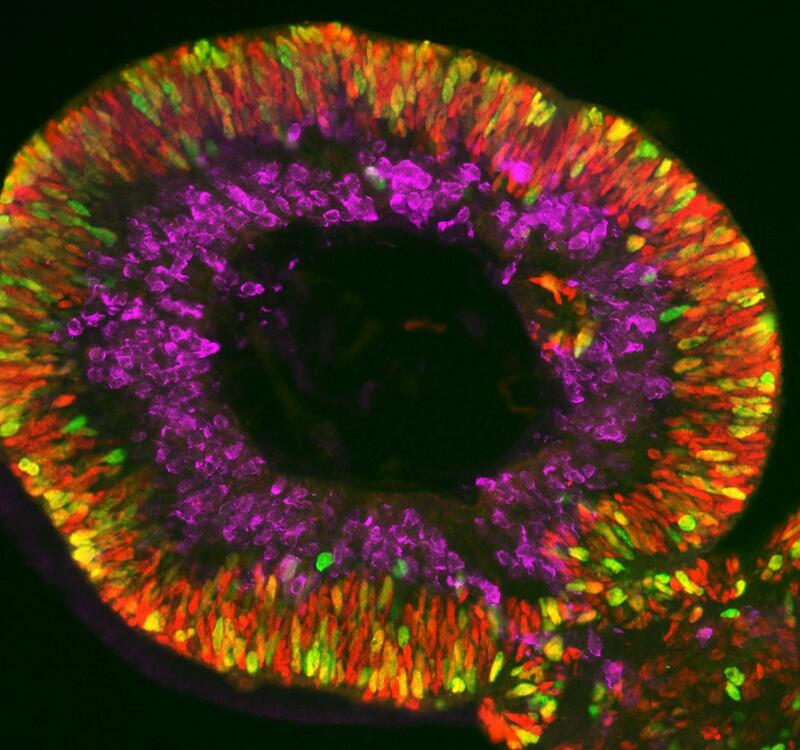 Organoids developed for the competition will mimic the structure, organization, and function of the human retina, the light-sensitive tissue in the back of the eye. NEI is part of the National Institutes of Health. Expedited development of new treatments for the 285 million people worldwide who are visually impaired, including 39 million who are blind, are desperately needed. Efforts to understand and cure vision-depleting retinal diseases such as age-related macular degeneration and diabetic retinopathy are limited by the lack of tissue models. “Mini-retinas” developed under 3-D ROC 2020 would replicate the complexity and functionality of the human retina, and serve as a platform to study underlying causes of retinal diseases, test new drug therapies, and provide a source of cells for transplantation. 3-D ROC 2017, the Ideation phase, awarded $90,000 to Erin Lavik, Sc.D., at the University of Maryland, Baltimore County, for her concept to screen-print retinal neurons in layers to mimic the structure of the human retina. The implementation challenge, 3-D ROC 2020, calls for the generation of 3-D prototype organoids and demonstration that they function as disease models or drug screening tools. Participants need not have competed in the ideation phase to compete in the second round. “Leveraging advances in bioengineering, stem cell technology, microfluidics, bioprinting and other fields will generate 3-D systems that help identify new treatments and could enable personalized therapies for patients,” said NEI Director Paul A. Sieving, M.D., Ph.D. In December 2018, NEI will award up to $100,000 each to as many as six teams whose models best address the scientific criteria outlined in the challenge announcement. The final submissions will be accepted in March 2020, and submitting teams will have the opportunity to win $400,000 plus any remaining prize money. Companies and non-profit organizations are supporting challenge participants by providing in-kind support such as expert consultation, access to optimization and validation platforms for drug screening, discounts on products and reagents, and other incentives.